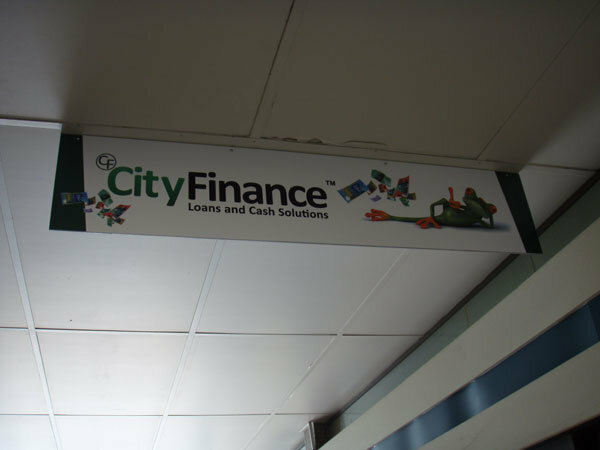 An under awning sign is a necessity for any shop or business that is situated in a strip shopping area, mall, street or pathway. 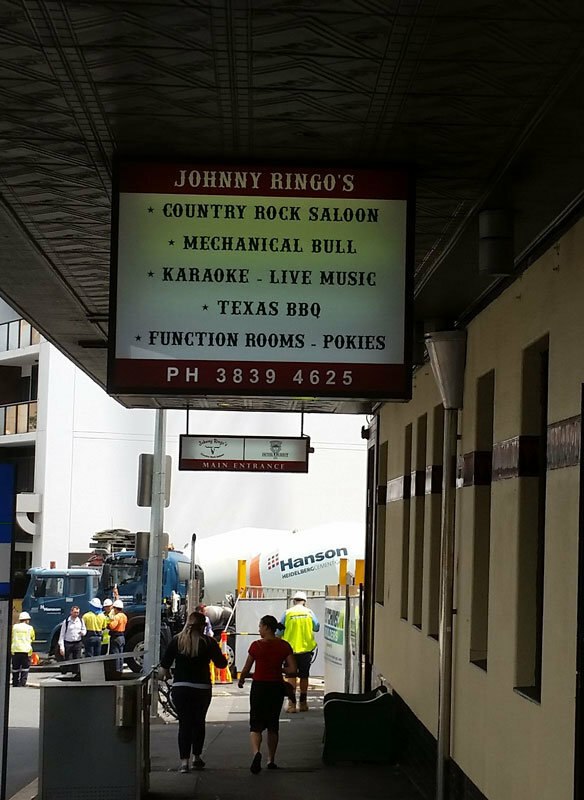 Under awning signage is an essential part of attracting passing traffic into your business – which is so valuable on busy streets. A stylish and contemporary example of an illuminated under awning sign with fabricated letters. 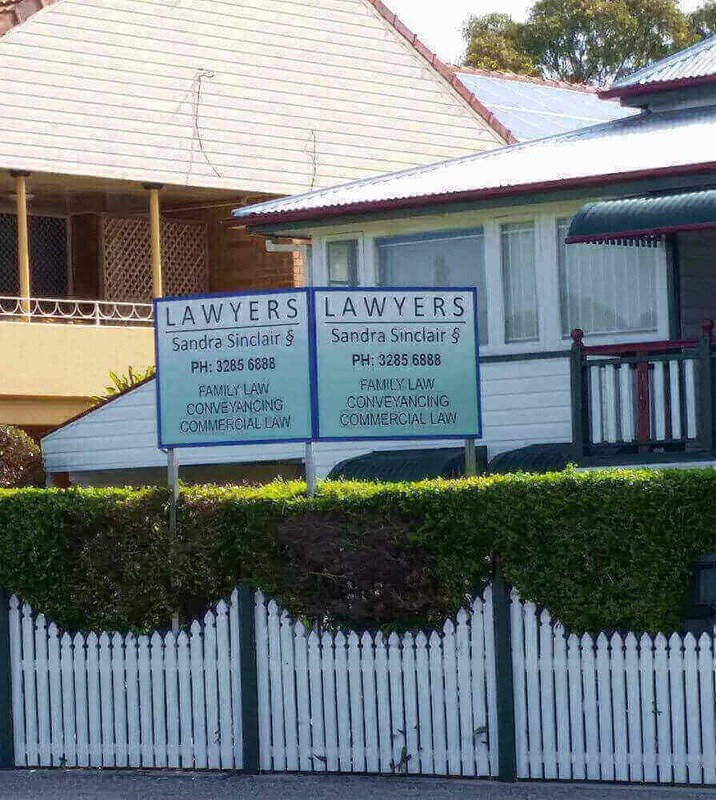 At Sign Age QLD, we work with you to produce a quality product for any budget. Fabricated from Metal, Timber, Acrylic etc. 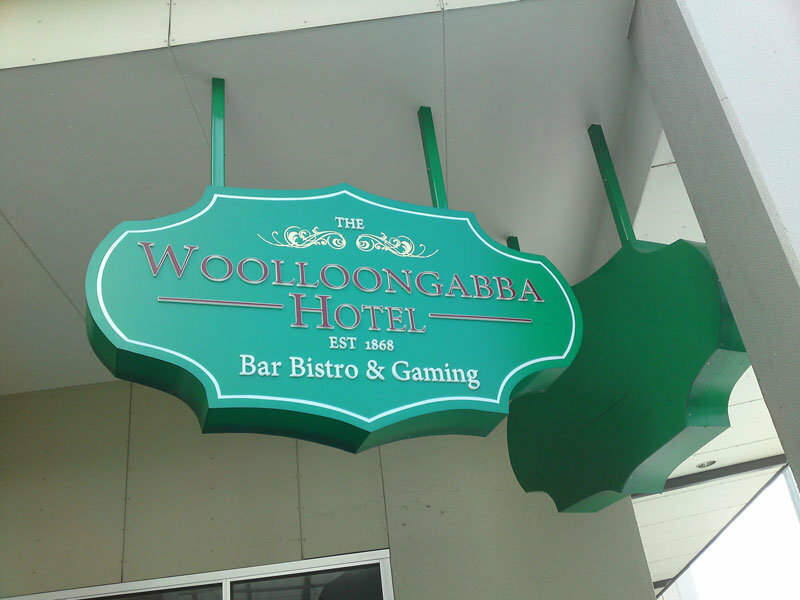 & More – View our Portfolio – Most signage types can be incorporated into an under awning sign. Our extensive experience in the design, manufacture & installation of all types of signage will ensure we can provide you with accurate information and advice about the best type of sign for your application. Contact us to discuss how we can help you promote your business. An illuminated under awning sign will advertise your business to passing traffic. 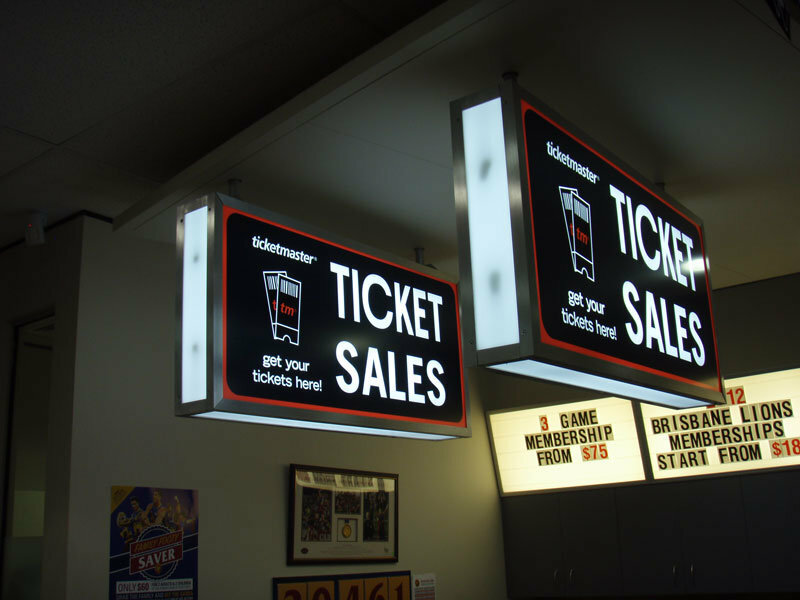 Illuminated signs advertise your business both day and night.